Writing FREEBIE and ABCs of Reading Shout Out! Jayne, at ABCs of Reading, just turned me on to this wonderful new (to me) book. 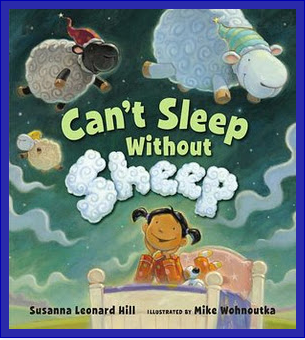 The little girl counts sheep each night to help her sleep. But it takes her soooo long that the sheep get tired and try to find some new animals for her to count. Jayne has a very cool drama lesson to go with the book and I decided to add to the fun with these two activities. The first one is a writing activity. I thought the kids could write about a different animal to count in their sleep and then do a chalk drawing of the animal on black paper. The cloud writing could be glued below. And this little sheet is self-explanatory. I love these sentence scrambler sheets, because not only are the kids practicing a sight word in a variety of ways, but they're also meaningfully engaged while I pull a Guided Reading group. Be sure to check out Jayne's blog. If you grab these, I'd love to hear from you :) Click on either pic. Have a GREAT day! I'm going to have to get that book now! Looks like another must-have for my ever-growing list! Thanks for stopping by the Corner; you always leave a good vibe behind!!! B&N here I come. Thanks for sharing these. they are great! Did you redo your blog? I LOVE it!!! I like the new look. The new button too! Thanks, Chrissy! I'm sure I'll change it again in a few months :). I love playing with the designs. I really enjoy reading your blog. It is nice to read a blog from a fellow BC teacher. I teach grade one in Northern BC. Thanks for sharing the sentence scrambler. What a great activity! 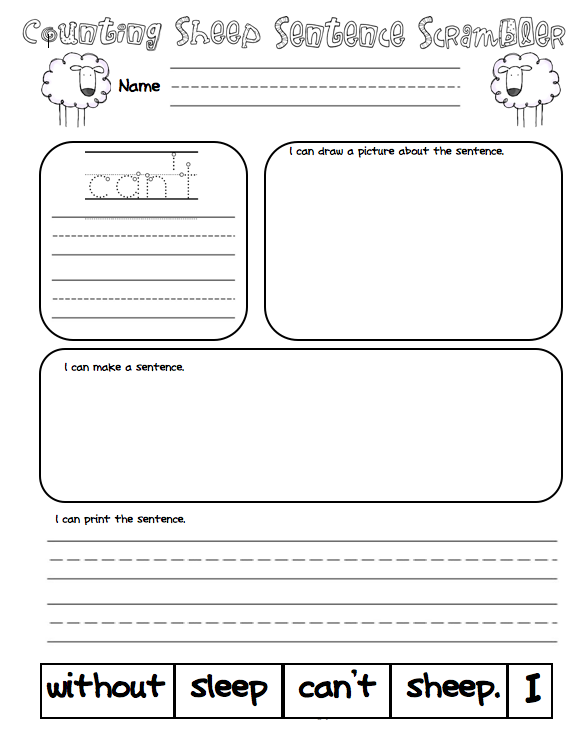 Would you consider creating a generic sentence scrambler form that I could use with my grade ones and could individualize or let me know how you created the form. I am not very tech savy and would love to learn. Thanks again! Hi Anonymous! Nice to hear from fellow Canadians, especially B.C. :) Sure, I can make a generic sheet. That's no problem at all. Just give me a day or two and I'll post it.